Two 2017 competitions, one in collaboration with Target Corporation, announced awardees. Ten new ISS National Lab research competitions were released in 2018, most supported by funding from program-level sponsors. Programs sponsored by NIH and NSF provide powerful multiyear research opportunities that fuel innovation, new-customer entry, and national prominence. Formal calls for research proposals in specific R&D focus areas complement traditional business development and outreach to build a diverse user base. All of these competitions involve either sponsorship funding from a non-NASA third party or non-monetary, in-kind collaborations with partner organizations. For more information on ISS National Lab research competitions, see http://issnl.us/ar1817. Cotton is a natural plant fiber and an important raw material for the production of textiles and clothing, but its cultivation requires sustainable access to limited natural resources such as water. This challenge awarded several projects across multiple sectors that will leverage the ISS National Lab to generate ideas for improving the utilization of ground-based natural resources for sustainable cotton production. This was the first ISS National Lab Sponsored Program fully funded by a private-sector company. Read more at http://issnl.us/ar1818. Each year, the ISS National Lab and Boeing support a prize for startups associated with MassChallenge. This year’s awards provided funding to three companies (Cellino Biotech, Guardion Technologies, and MakerHealth) to conduct research on the ISS National Lab. Read more at http://issnl.us/ar1819. NIH’s National Center for Advancing Translational Sciences (NCATS) and National Institute of Biomedical Imaging and Bioengineering (NIBIB) collaborated to support an ISS National Lab funding opportunity focused on human physiology and disease. Data from this research—which will feature tissue chips—will help develop and advance technologies to improve human health. This opportunity is part of a four-year collaboration through which NIH will provide funding for space-based research investigations to benefit life on Earth. It is a reissue of an FY16 opportunity that resulted in five awarded projects. This opportunity supports use of the ISS National Lab for enhancements in the field of transformative tissue engineering, within the scope of the NSF Engineering of Biomedical Systems Program. This includes cellular engineering, tissue engineering, and modeling of physiological systems. This is one of four collaborations with NSF since 2016 to fund ISS National Lab R&D. 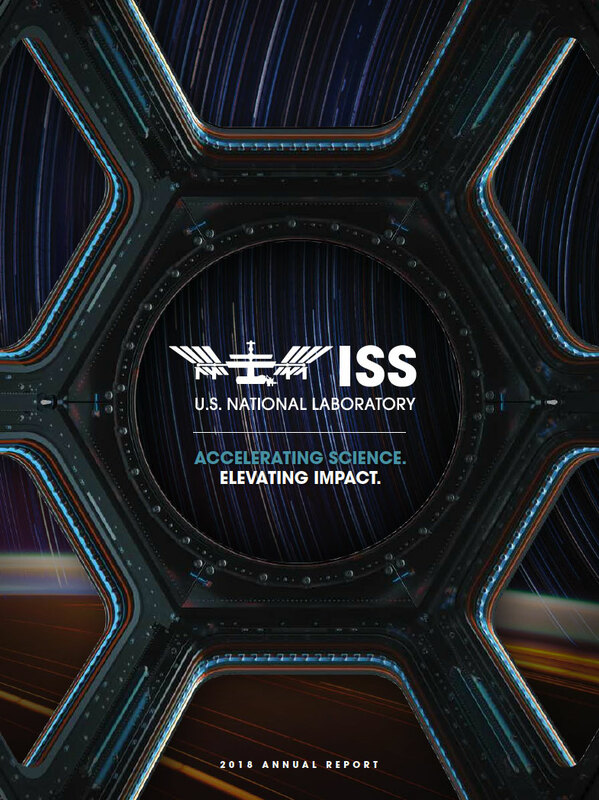 This opportunity supports use of the ISS National Lab for R&D in fluid dynamics and particulate and multiphase processes. The absence of phenomena such as thermal convection, sedimentation, and buoyancy in microgravity contribute to changes in fluid behavior in space, revealing fundamental properties of how fluids function and enabling design of advanced materials, electronics, nanotechnologies, and other consumer and healthcare products. This is our second collaboration with NSF dedicated to funding fluid dynamics in space, and one of four NSF collaborations. The MISSE-FF platform supports commercial and academic investigations in the field of materials science. Launched this year, the facility provides an in-orbit platform deployed externally on the ISS, enabling access to temperature variation, atomic oxygen, and enhanced radiation exposure, among other factors, without requiring extravehicular activity (for more information, see In-orbit Activities Onboard the ISS National Lab). This research opportunity sought projects that will use the extreme conditions of space for development and testing of new materials, components, and systems with Earth-based applications. Genes in Space, sponsored by Boeing ($250K) in collaboration with miniPCR, Math for America, and New England Biolabs. For more information see Success Stories. Space Crystal Prize, in collaboration with The University of Wisconsin–Madison (non-monetary). For more information see In-orbit Activities Onboard the ISS National Lab. Guardians of the Galaxy Space Station Challenge, in collaboration with Marvel Entertainment, Space Tango, and NanoRacks (non-monetary). For more information see Engaging the Nation and http://issnl.us/ar1820. For the sixth year in a row, the ISS National Lab is supporting a “Technology in Space” prize associated with MassChallenge. For the fifth year in a row, Boeing will be a co-sponsor. To date, MassChallenge alumni have raised more than $3 billion in funding and created more than 80,000 jobs. 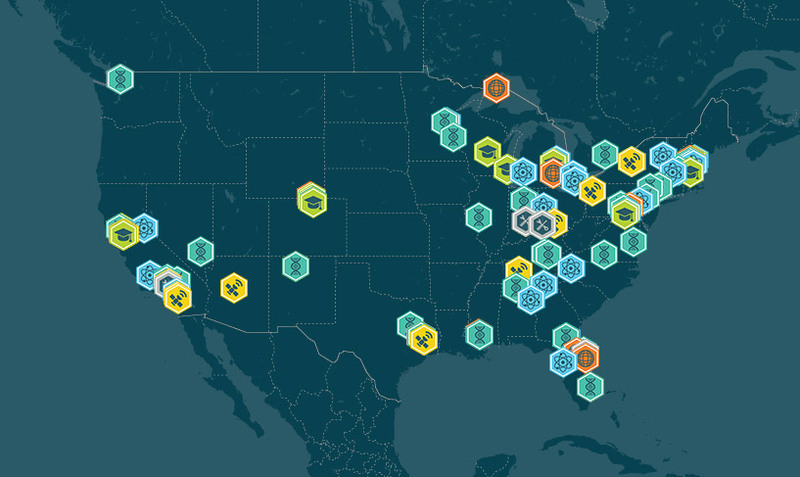 As MassChallenge’s flagship location, MassChallenge Boston has accelerated more than 1,000 startups from across the country. 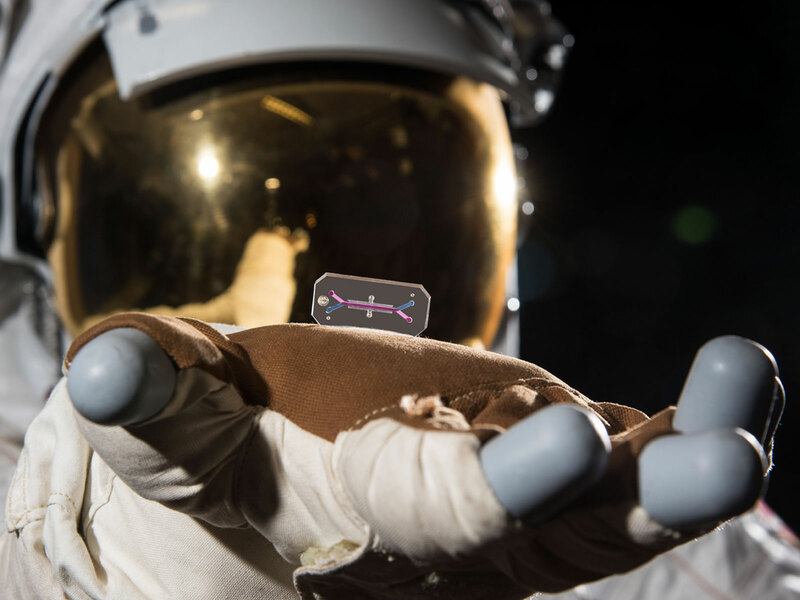 This opportunity will support investigators seeking to access biological specimens from the first ISS National Lab Rodent Research Reference Mission. On SpaceX CRS-16, 40 mice of two different age groups were launched to the ISS. Awardees from this opportunity will evaluate ground-control and spaceflight biospecimens from animal models of human disease to improve patient care on Earth for diseases and aging effects involving bone and muscle. For more information on the benefits of rodent research in space, see Publications. Microgravity has been used for more than 30 years to improve outcomes of crystal analyses, and the ISS National Lab continues to support such efforts through the Microgravity Molecular Crystal Growth Program. This solicitation provides the opportunity for researchers to propose new ideas for approaches to be tested in the space environment in the context of known crystallization behavior in ground studies. For more information about crystal growth in space, see R&D Progress and Objectives. Recent advances in bioengineering have enabled the manufacture of systems using human cells on chips to represent functional units of an organ. In parallel, developments in stem cell technology allow cultivation of tissue from humans with specific disease conditions. Advancing this research on the ISS National Lab promises to accelerate the discovery of molecular mechanisms that underlie a range of common human disorders and to improve understanding of drug targets and treatments in an environment that better mimics 3D tissue structures within the body. Such tissue chip research was supported by two competitions in FY18.